To make up for May’s slack, I’ve been going to the gym far more often. I’m actually trying to go at least five days a week, but missed today because of a small crisis that need immediate attention. My new routine includes twice-weekly personal training sessions at the gym, and so far, it’s been pretty . . . awful. Seriously. After last Wednesday’s session, I had trouble walking up steps for three days straight. 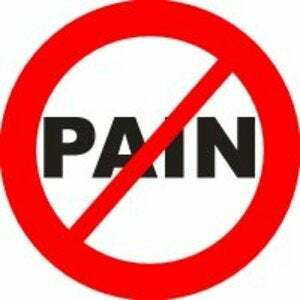 I worked out any remaining pain during Saturday’s 5K walk, but it was replaced with hip soreness Sunday. Yesterday’s training session with Moraitis seemed to focus more on my (rumored) abs and arms, because that’s definitely where I feel achiness today. I want to learn to accept this as my New Normal, but honestly, right now I’m pretty much hating it. I know in my heart this is good for me, but my brain is like, What is wrong with you? I can easily solve this problem by discontinuing personal training, but the whole reason for PT is to see how much pain I can stand without crying out. OK, that might have been a slight exaggeration. Moraitis knows what my goals are, she’s measured my problem areas and understands what I need to succeed. But I’m a silver-lining kind of gal, and all these aches really do mean progress. I’ve lost some inches, and at the end of this month I’m going back to the doc for some blood work so I can compare and contrast my blood pressure, cholesterol and blood sugar levels. You may recall that when I first started, Dr. Bean said I was pre-diabetic and had prescribed some medication. I refused, because I knew what I had to do. What I really wanted to do. So yeah, I’m achy, and sometimes that makes me a little cranky. I think I’ll look into taking some Aleve. It’s better than diabetes medication.